Some of my daily tasks haven\'t counted towards the blazing soul event today for some reason. This problem resulted in me being able to collect the reward for 14 tasks done in the daily events reward tab but only 10/14 for the daily events completed in the blazing soul special event tab. I\'m missing out on 3 blazing should shards. Every little bit counts. I would appreciate some help with this matter. Thanks. 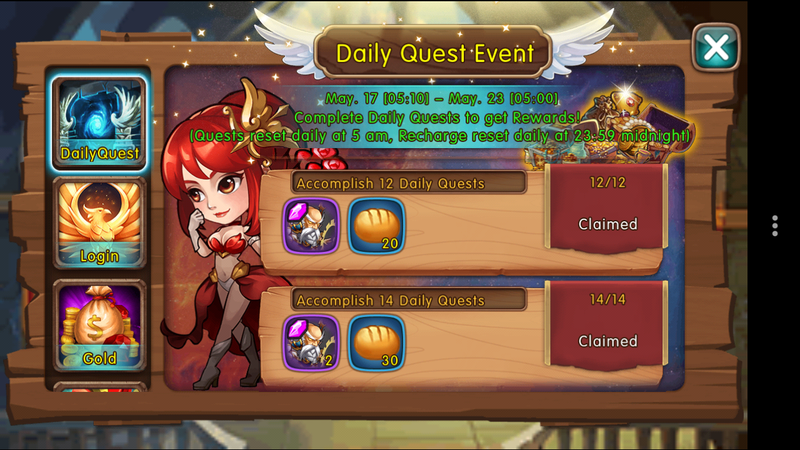 Hi, per our record, you only accomplished 10 quests after 05:10 when this event started. So because it started at 5:10 AM instead of starting at 5AM like the screen says I get penalized for completing quests when the event from yesterday tells me to complete quests? I don\'t understand. Your saying if I waited 10 minutes I wouldn\'t have this problem and it was all because the game couldn\'t reset when it said it was going to reset?? 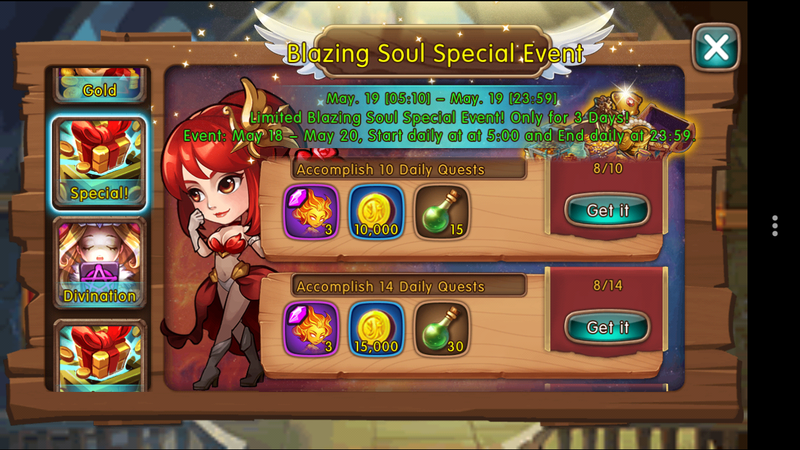 They did update the blazing soul hot event to say 5:10, so it works as it should. I do not know why the hot events reset at 5 am as opposed to, lets say, real night for most european countries, but my advice is to always wait till 5:10 server time for these events. 2019-4-18 23:17 GMT+8 , Processed in 0.060433 second(s), 46 queries .